At Bethel, we firmly believe that coming together to study the Word of God, and to make connections between that Word and our lives is important to the ongoing discipleship of all Christians. Christian education is for children, youth and adults. The new BOOK OF FAITH Website which shares in print and video format examples of "Dwelling in the Word" and what it has meant to individuals. There are many resources available. Click on the book of faith icon for more information. 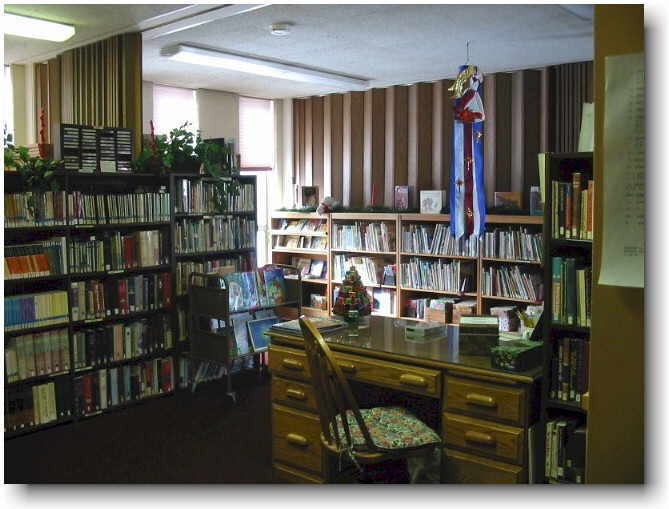 One of Bethel's most treasured resources is its library, considered by many to be one of the finest church libraries in the Cleveland area. Our goal is to offer salvation and life in Jesus Christ through literature and the audio/visual media. Anyone is welcome to borrow books, audiotapes, CD's. DVD's and videos. The library is open whenever the church is open and is staffed on Sunday and Wednesday mornings. The library's 6,000 plus volumes cover a wide range of subjects, from self-help to scholarly works of Biblical analysis to fiction. Sunday morning services and sermons are available on audio tapes. An extensive collection of children's books and videos introduces children to Jesus and the Christian life. Faith Explorers is a small group ministry aimed at youth grades 6 - 8. Using a variety of resources and media, young people are invited to learn, share, serve, and have fun in large group and small group settings. Group meetings use the Small Catechism as the basis for learning in year one, and an overview of the Bible in year two. After two years of involvement in Faith Explorers, young people are invited the following fall to consider participating in the service of Affirmation of Baptism. Currently meets on Sunday evenings from October through May. Men's Bible Study - Saturday mornings at 8:00 A.M. Men of all ages are invited to learn how to study the Bible. Call the church office for more information and the date of the next meeting. Adult Bible Study - You are invited to share a time of Bible study, friendship, and worship on Sunday evenings held in the homes of members of Bethel. Led by Alan Bobrosky. Call the church office for more information. Consistent with the Evangelical Lutheran Church in America's statement "The Use of the Means of Grace," approved at the 1997 churchwide assembly, we teach that participation in the sacramental meal of Holy Communion is the right and privilege of all of the baptized people of God. We welcome people of various ages to our communion table. Each year, we offer instruction to children grades one and above whose parents, together with the pastor, feel they are ready.